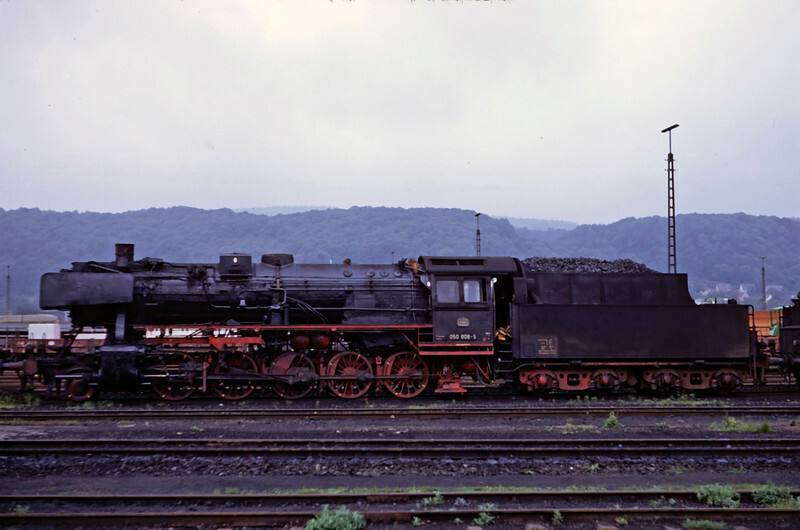 During World War II, the Deutsche Reichsbahn built large numbers of simple, easy-to-maintain but robust locomotives. Chief among them was the Class 50, a 2-10-0 with decent power and light axle loading that could go virtually anywhere on the system. These 2-cylinder machines were less complex and easier to construct and maintain than the more powerful three cylinder Class 44's that preceded them. This particular example was lensed in the city of Trier in 1972.